Are you searching for used cars for sale in Baraboo? One look at the used cars for sale in Baraboo and you may decide to take another look. If you’re in search for a used car for sale in Baraboo you may find yourself looking at the same cars at the Baraboo auto dealers that you’ve looked at before. Why not expand your search for a used car and take a look at the options we have to offer. With the invention of the internet it’s made the world a whole lot smaller. Expand your search of Baraboo used cars today and visit our website. Now that we have it in stock, it’s your turn to try out your new-to-you used car in person. Schedule a test drive today and experience the difference. Just like options on your car…It’s nice to have options when it comes to your used car dealership. Searching Baraboo for used cars for sale may be difficult. Especially when you see the limited number of car dealerships to choose from. Finding that used car that’s just right for you is extremely important. Finding a safe used car is important. 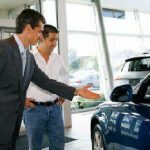 So buying from a reputable used car dealer is just as important. Take the time to expand your search when it comes to Baraboo used cars for sale and take the drive to Ness today! Drive on over to Ness Auto Sales and Service today and get the best price on your next used car in Baraboo. Our professional staff will help you throughout the process and make sure you are comfortable!